Tasty as it sounds , this pasta chat is super easy to make and like a treat in disguise for those on a weight loss diet plan . i am totally in love with this pasta chat it is full of fiber, and nutrients and yet free of calories. here is the recipe of healthy pasta chat / quick pasta salad. The best part about salads is there is no procedure. Just mix all the ingredients together in bowl. and it is ready to satisfy your hunger . 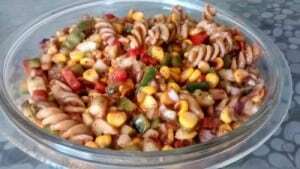 This yummy pasta salad / pasta chat is full of anti oxidants that help you in losing weight and keeping you away from illness. I had a caesarean delivery six months back and my weight is now 80 kg and I am 5 feet and 1inch in height. I have started with 20 minutes of morning and evening walks and 3rounds of surya namaskars to start with. I am following a normal diet now as I was lactating and even now I feed my baby . Wanted to know that how to start with my weight loss programme and what should be my diet? Can I follow your 1200kcal plan to start with? you can actually increase your workout and do for 45 mins . and i do not support going on diets while lactating. so just eat normal avoid fatty fried food and do 45 mins workout. I have mentioned my bank account details; you can deposit the money in my account. It can be a cash deposit or an online transfer. 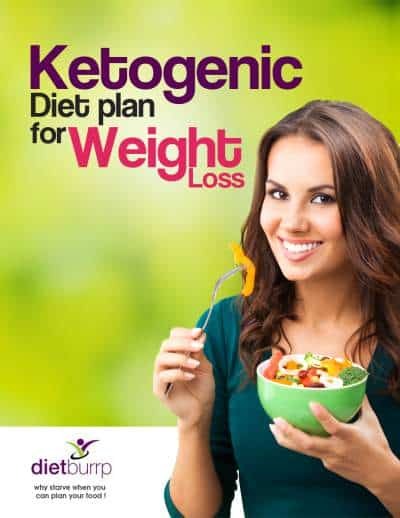 You can buy a 1 week plan for weight loss for Rs 999/- only. As soon as I realize the payment in my account, I will get in touch with you and send you a diet chart. In between the waiting time, you can fill up a small form that i would be sending you to collect all your details. Where in you can mention your body stats, age, lifestyle details, eating habit, like s and dislikes, your timings and medical problems if any. Based on the above mentioned details from the form, i will do an analysis of every factor and plan a suitable diet chart. This diet chart would be planned according to your cuisine, timings, convenience of cooking, so we make sure that you are comfortable and follow the chart 100 %. 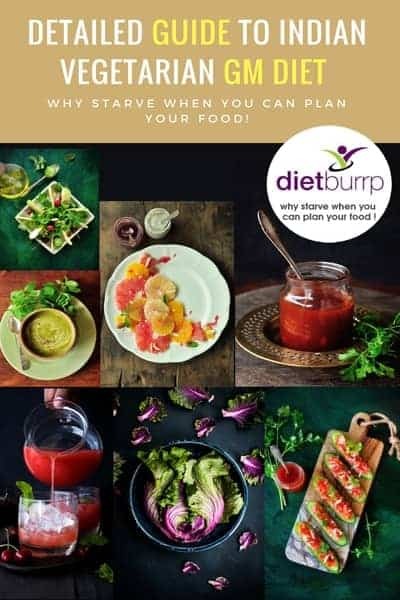 After sending you the chart, the diet package will start from the day you actually start following the diet, and those days spent on preparations would not be counted. I will send over a single chart with seven options for different days, so you know what items are allowed and accordingly manage your grocery for the week. During the week i will follow up with you every 2-3 days to check if you are comfortable and if you face any issue, we can work to solve it. In case if you have a question for me, you don’t have to wait till I mail you for follow up. Just write to me about it and I will try to help you on the question at the earliest. 1 week is a small period and hence we can not set up huge goals, but by the end of the week you would definitely feel better and healthier and lighter. WEIGHT LOSS IS NOT GUARANTEED. We are trying to permanently fix your weight problem. and the diet chart given to you would be changed as many times as needed to make you lose weight. But weight loss totally depends on your body’s response. I can guarantee satisfaction from our services but cannot guarantee weight loss. Any body who is guarantying weight loss is deceiving you for sure. I will also guide you in terms of recipes of dishes on chart (if needed), Exercises, and Lifestyle correction. All the conversation will happen over Emails only. I hope all your queries are answered. In case if you have more, ill be happy to help. Please mention your name in the transaction, Or mail me about the branch you deposited money in. ( so that i can track your transaction easily). After you make the payment, kindly fill up this form. For any more information kindly write back to us. Hello mam,pls suggest the diet.my wt is abt 139pounds. I should reduce upto 10 pounds. I’m very much worried about this.I don’t have the thyroid problem. Can I have this during gm diet?? If yes then which day and when??? I have thyroid problem and also policystic ovary.my weight is 74kg, height is 5 feet.Iam 23 years old.I want a proper diet plan and easy exercises.please let me know what should i do? ?